Tired of always being the 'nervous friend,' Dunk decides he will no longer puff up or get upset. At first, Splash, Bubbles and Ripple are happy that Dunk won't be nervous, but soon realize that Dunk's cautiousness and puffing up serves a great function in their relationship. 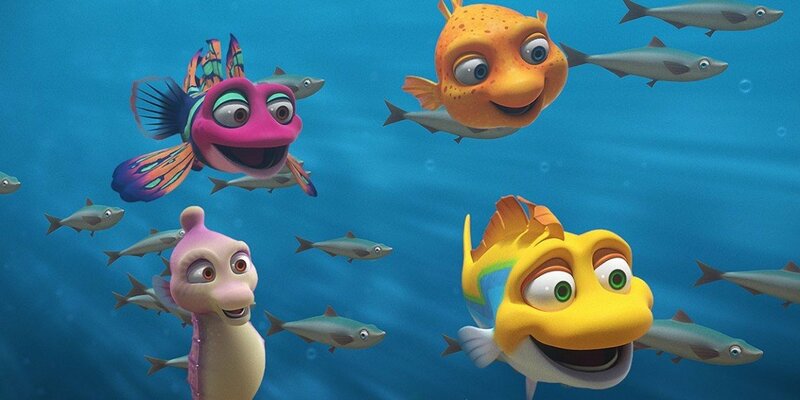 / Splash, Dunk and Bubbles spend the day with Tidy, the Garibaldi Fish, as 'kelp forest keepers.' Tidy's desire to have everything 'just so' conflicts with Bubbles, Dunk and Splash's desire to have fun exploring the kelp forest.